Thank you to everyone who has sent a Quilty Hug. They are all so beautiful. I appreciate your thoughtfulness, generosity and talent. I can't express what a difference your kindness makes, without your help I could never help all those I help. 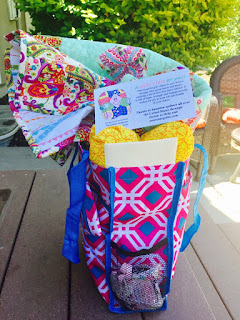 Each quilt is bundled in a gift bag with a note telling them of the love put into the quilt that was made just for them. I've tried to thank each of your personally. There have been a few boxes without names and return addresses. It makes me sad that I can't express my gratitude to you personally. Please know your time and talent are appreciated. That you are doing a good thing and bringing comfort and love to someone going through a really hard time. So if you don't get a personal thank you from me. Please accept this one. Thank you! Thank you! Thank you! Speaking of Quilty Hugs I finished the quilt for my friend from her hubby's shirts. It was so fulfilling to make this quilt. I'm thrilled that she loves it. That it brings her comfort and fills her with fond, happy memories of him. Wish I could beat cancer. Or that someone would figure it out. In the mean time I'll fight it with Quilty Hugs. you should be getting a box from me this weekend or with Memorial Day maybe not until Tuesday. I have a quilt top...and I need to get it quilted this week! I hope you don't mind that I am giving it to my local Project Linus Group that will meet on Friday. So many needs out there! 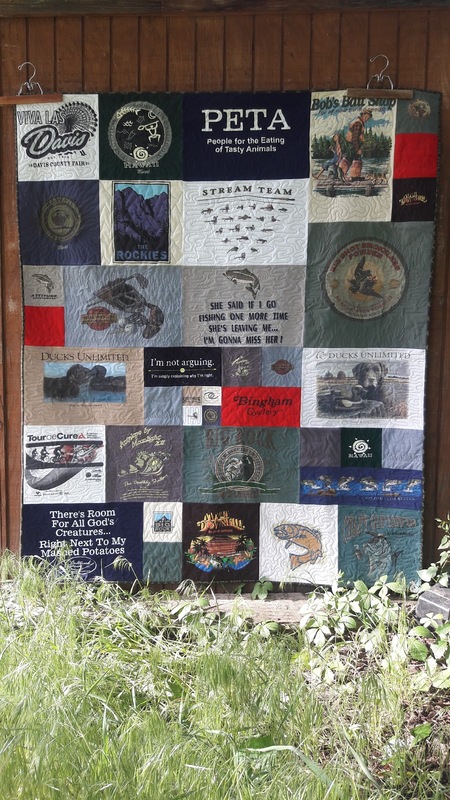 and such a wonderful way to share our love of quilting! Not at all! I know there are many good causes that a Quilty Hug can help. I Have one for you, too - just needs binding, then it will be on its way ! I just succumbed once again to a great Connecting Threads sale--ordered enough to make 8 quilts with my Project Linus group, plus more from the scraps! Housebound and not sewing for now with a shoulder injury, I can still give quilty hugs by online shopping and making via group. Such a worthy cause--are you still accepting quilts? The shirt quilt turned out so well. I'm sure she loved it. 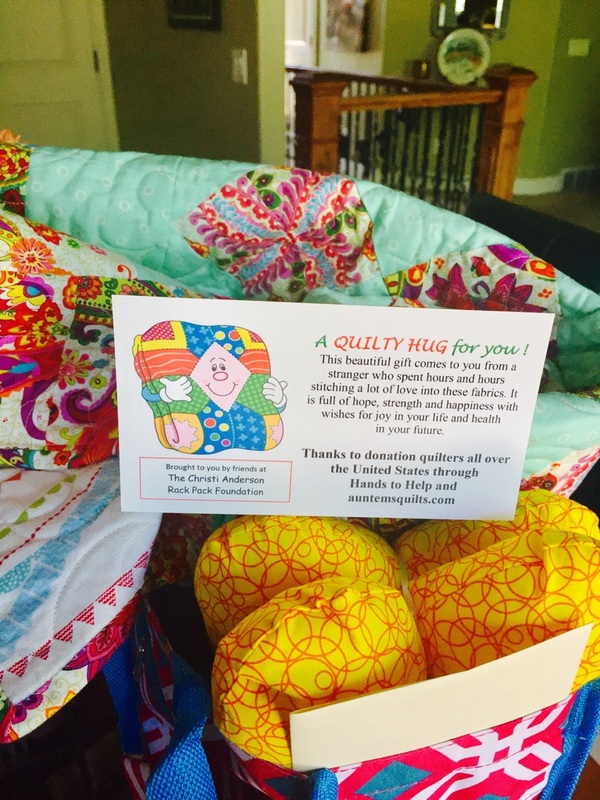 Your Quilty Hugs are making a big difference in so many lives. Wonderful memory quilt you made for your friend. Tells a story.